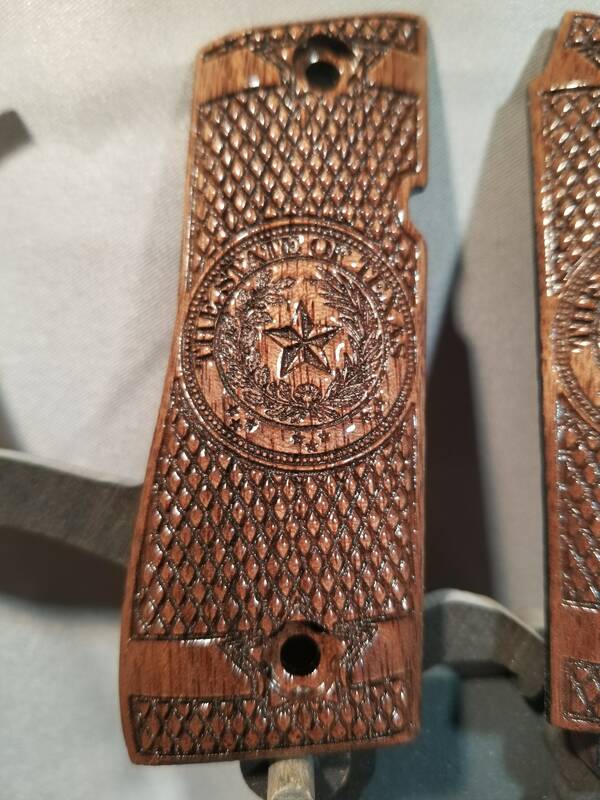 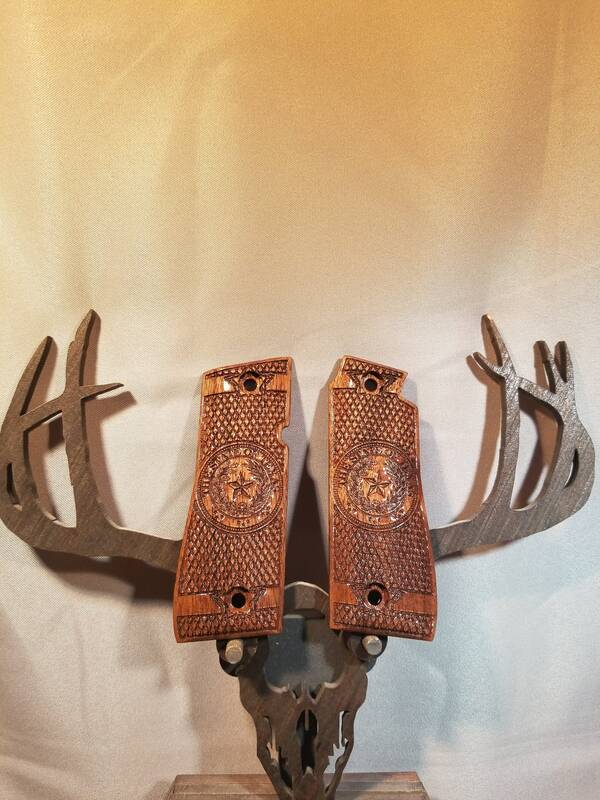 These are engraved with the Seal of TEXAS STATE, and stylized checkering with banded stars around the screw holes. 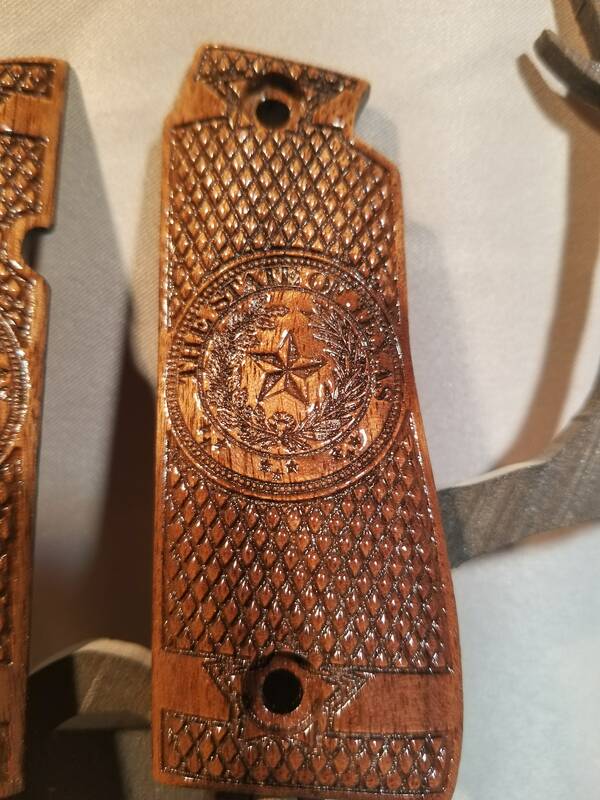 If you'd like the REPUBLIC OF TEXAS seal, please let me know in the NOTES section when you place the order! 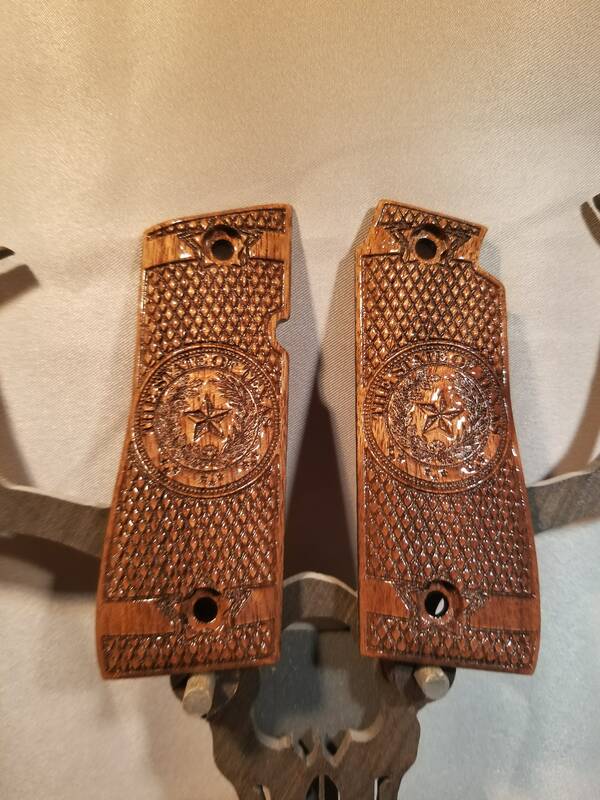 These are made from WALNUT. 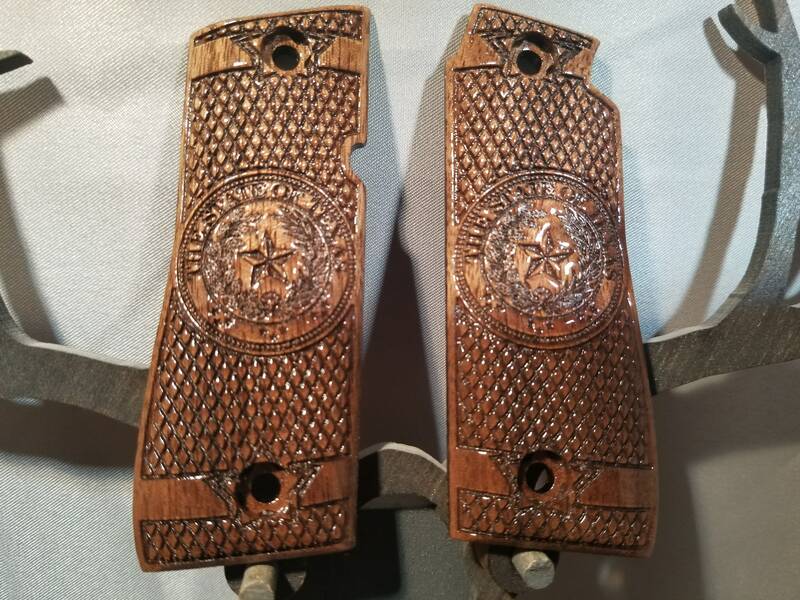 These are hand sanded to a glassy smooth finish, and then finished with 5 coats of lacquer, to give them a beautiful, durable, and lasting finish.